UK-based renewable energy supplier Bulb has secured £60 million in funding from DST Global, an early backer of Facebook, Twitter and British delivery business Deliveroo, and Magnetar, a US-based hedge fund. Bulb supplies 100% renewable electricity to around 670,000 homes across the UK. It currently employs around 200 people at its headquarters in London, and plans to use the investment to expand this to 250 by 2019, focusing on hiring more engineers and energy experts to help maintain its highly-rated customer service. 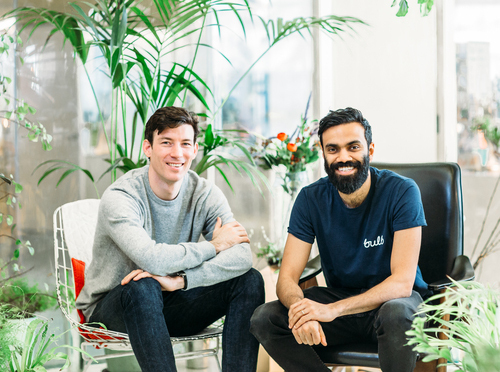 Bulb was founded by former energy traders Amit Gudka and Hayden Wood in 2014 when they realised how expensive energy was for the average consumer, and how the majority of energy supplied was not renewable. They set up Bulb to address those issues: Four years later it is worth more than £400 million based on the recent round on funding. Wood, who is Bulb's CEO, stated: "We are delighted to have new investors on board and excited to continue Bulb's rapid growth as one of London's startup technology companies. Hundreds of thousands of people are learning they can halve their carbon emissions and save £200 or more on their energy bills by switching to Bulb's affordable green energy. The tech we've developed helps keep costs down, provides members with great service and helps them reduce their carbon emissions." He continued: "To be backed by DST Global is a fantastic endorsement as we develop technology to transform the way energy is used and produced. Energy is being revolutionised by renewable generation, battery storage and smart meters and we're excited to introduce this technology to homes across the UK."